World of Warcraft Battle for Azeroth is being sold as a story driven expansion, and Blizzard is present no less than a barrel full of them! 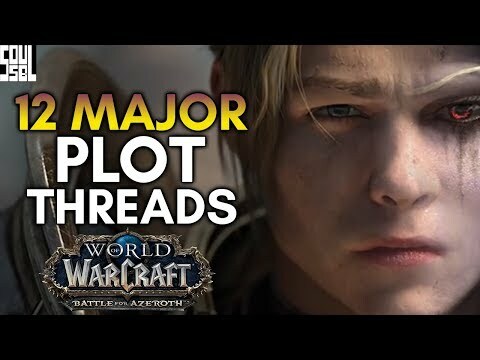 Today we take a look at 12 of the more prominent story threads we hope will be fleshed out or completed during this expansion! Starting from Legion patch 7.3, we explore returning characters like Turalyon and Alleria. We get to the lead up to the Battle for Azeroth in the Before the Storm Book and look at characters like Sylvanas, Anduin, Calia and Alonsus. Then we look at what’s most current, including the story in Zandalar and Kul Tiras!